Since beginning her career as a Real Estate Broker here in Manhattan in 2004 and having closed countless rental, sales, and commercial transactions, Moran has learned one very important thing: “if you love your job you’ll never work a day in your life”. It's rare that you will ever see Moran when she is not wearing a big smile. Her clients find her enthusiasm contagious and she has a knack for turning clients into life-long friends. Apparently Moran’s peers also have found reason to stand up and take notice, as she has won a Producers Gold Medal in 2007 and Silver Medals in 2009 and 2010. To Moran, having a wonderful home to come home to at night should not be a luxury, but a God-given right. She has dedicated herself to this notion and has an unstoppable work ethic to make it come true for all of her clients. Whether you are thinking about renting, buying, or selling a home or if you need some commercial property…look no further than Moran Khousravi. You’ll be not only working with a great broker but you’ll be making a new friend. ?Thomas and Moran are a great team together. They were very sociable and put up aalot with o?ur ?crap during the process. Moran made sure that we were comfortable and helped us work with may timelines. Tom, my first contact with Bond, helped me find the perfect place for my roommates and I by going over and beyond and showing me more units than I even expected. They were both very honest and courteous throughout the whole process. I''ve already recommended them to some other associates I know moving to NY. I appreciate all the help they provided and I couldn''t be happier with my experience.?? ?Moran helped us have the best real estate experience ever. After dealing with pushy key holders, scammy agents, sketchy landlords, etc. meeting with Moran was a relief. She was straightforward, funny, and understanding. We appreciated her professionalism, courtesy, and sense of humor throughout the stressful process of seeing a property and signing a lease. She’s both a great agent and human, happy to know of her and would recommend to anyone who needs a new space! We worked with both Moran and Tom and they were absolutely lovely. As newcomers to NYC we had a million and one questions and they remained positive and professional throughout. We were working with a time crunch since we were from out-of-state and we were able to sign a lease within three days from the first viewing. Their dedication is evident and appreciated. They were consistently in our corner and fought hard for us to get our dream apartment. 10/10 would recommend! Moran was very professional, friendly, and helpful. She worked hard to help us secure the apartment we wanted and was very patient with us. Moran was outstanding, very patient, and diligent in helping us to get all we desired in an apartment. Awesome people skills and sincerely kind. I will recommend her to all. We meet Moran while apartment hunting and because of her friendly and eager demeanor, we enlisted her help in renting out our apartment. She was a great partner throughout the whole process - she was always in constant communication with us and was overly mindful of our time. We highly recommend working with her! Silva and Moran have been absolutely wonderful. 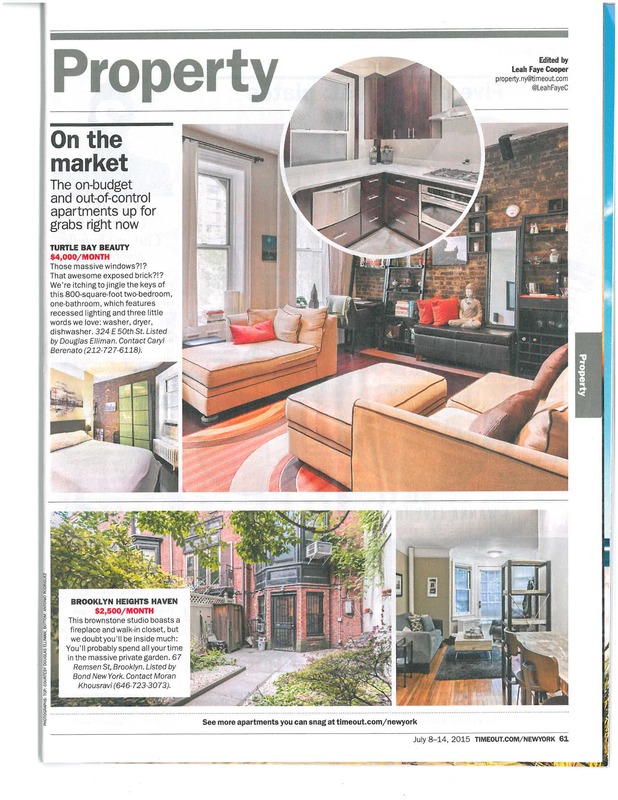 This process ran very smoothly and we are so happy with the place they found for us - the first one they showed us! I can''t recommend Silva, Moran and Bond in general enough. We will for sure be back if we ever move again. From here on out if anyone I know is looking to move into/within NYC I'm sending them to Moran. She, along with Silva, made the overwhelmingly scary act of moving in the city seem attainable. With her encouragement, insight, accessibility, and willingness to help us find a home, we landed a dream spot, perfectly as we had hoped to find. She even came in on a Sunday for us to sign the lease! Thank you Moran, Silva & BOND! July 2017 by Frederic E.
Moran was extremely helpful in the process of renting an apartment in the city. As an international student with no credit history or income, it was very difficult to find a decent place that would accept me. Thanks to Moran, I was able to find something below my budget in a great location. Highly recommended! LOVED worrying with Moran she was so helpful and helped me and my sister get the perfect apartment with exactly the budget we were looking for and never told me it wasn''t possible like most brokers did. Transparency and kindness go a long way - Thanks Moran!!! Moran was extremely helpful and responded swiftly to all of our emails. She was very nice when we came in to sign the lease and made our first apartment hunt and signing very easy and stress free. I had a great experience working with Moran as my agent. She was extremely helpful, understanding and accommodating throughout the entire process of acquiring and signing my lease. Her professionalism and flexibility are what made everything run smoothly. A childhood spent in the shadow of war prepared Bond New York agent Moran Khousravi for the mean streets of Manhattan. But it is her passion for life that has helped her succeed here. Holon is a town near Tel Aviv that grew from just sand dunes to become a manufacturing hub, built by working class Jewish immigrants. It was on the front line in the 1948 Arab–Israeli War and, as recently as 2001, was the scene of a fatal bus stop bombing that killed eight Israelis and injured 25 others. The carnage around her did little to dampen Khousravi’s spirits, though, and she recalls an always optimistic outlook that drove her to work hard — and play hard, too. From the age of ten, she was earning her own money tutoring local kids, babysitting and later waitressing in the town’s bustling eateries. She was a studious child who did well in the classroom and was fluent in both Hebrew and Farsi. During her down time, Khousravi indulged her passion for dance, particularly Hip Hop, the wildly energetic musical craze that was born in the Bronx in the 1970s. After completing her mandatory two years national service in the Israeli army — “It was hard in a lot of ways, not least that I was forced to wear a green uniform!” — her first full-time job was as a dance teacher and choreographer. She was also the only girl in a break dancing group that made appearances in Israeli malls. “We were nutcases,” she recalled, admitting she often looks back and wonders at her exploits. “You don’t think at that age, you just do it. Sometimes, I think ‘how did I have the guts,’ but I just jumped on every opportunity, or rather, I created the opportunities,” she said. The next opportunity she sought out was New York, where she had determined to follow the footsteps of then emerging pop sensation, Christina Aguilera, who had captivated Khousravi with a dance video recorded on the streets of Manhattan. The pop scene wasn’t quite ready for her though, and she found herself pounding the streets looking for work. During her first real estate interview, she said she was warned about the heavy demands of the job. “He left me with no illusions,? Khousravi recalled of the interview. “He said he was trying to scare me, but it really wasn’t working. I’d always looked for challenging opportunities and I wasn’t going to back down from this.? Over the next seven years, Khousari became known as a tireless agent, closing rental, sales and commercial transactions that have earned her both gold and silver Producers Medals at Bond. 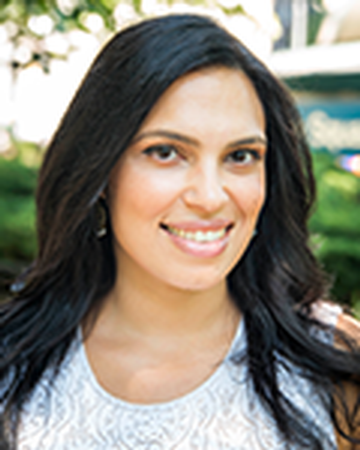 As a senior agent at the firm, she now leads a team of agents working in rentals across the city, from a $6,300 a month Union Square loft to a Brooklyn Heights studio currently on her books. 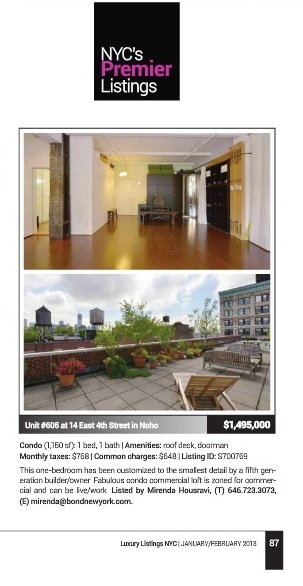 She also expanded into the sales market and is right now listing a one bedroom Greenwich Village loft at $1,495,000. And she’s developing a commercial resume; Anyone need a 2,510 s/f retail space on the Lower East Side? “I also love my job, and if you love your job, you’ll never work a day in your life.? Perhaps because she’s not really “working,? Khousari has recently found her way back into the showbiz spotlight. During a trip back home to Israel, she found an old journal where she’d written about a long-forgotten dream to do standup comedy. After a dare from her personal trainer, she took to the stage — and found she was a natural. After studying at the Gotham Comedy Club, Khousari was soon taking bookings from the city’s Laugh Lounge, Comedy Cellar, and other noted hot spots.